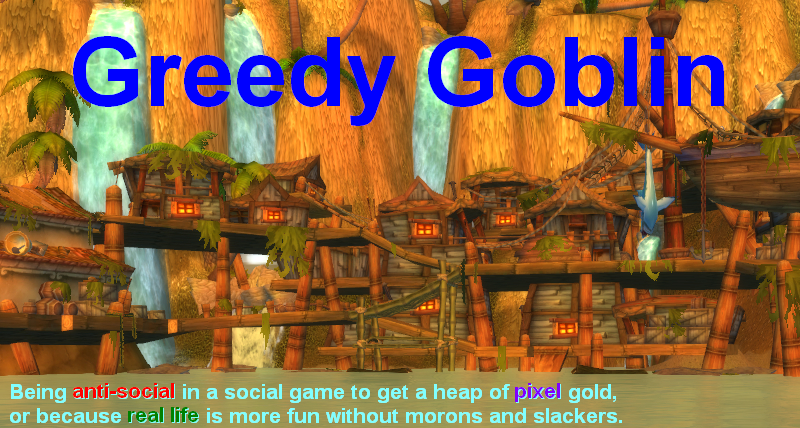 Greedy goblin: Can there be one magic skill? Can there be one magic skill? In my previous posts (1, 2, 3, 4) I claimed that there is one "magic" skill that can be learned and having it or not more or less means being successful or loser. Several commenters pointed out that it's a black and white thinking, therefore surely wrong. They also noticed that I blame one skill for success/failure which is obviously nonsense. I'd like to explain how can it be black&white and only, despite both are not true. To talk about a "skill", it must have meaningful variance, so people differ in it significantly. For example "having functional liver" is necessary for success, if your liver fails, you die or linger in a hospital with tubes everywhere in you, hoping you get a donor. Yet no one in his right mind would claim that "I'm successful because my liver is OK", because having a good liver is considered normal. Practically everyone has a functional liver, the exceptions are not considered "losers", but "ill" or "accident victim". Among the population there is no meaningful variance in liver conditions. Also, in the Western population, there is no meaningful variance in literacy. Practically everyone can read and write, so claiming that "literacy is the magic skill" is nonsense. However claiming the same in some middle Africa country can be completely true and you can easily find that the best predictor of success is literacy. So when I claim "there is one skill that decides success/failure", I mean "there is one skill that affects success/failure and not obviously owned by everyone in our society". There are many-many other skills needed for success, but they are learned in early age by almost every members of our societies. Those who do not learn them are considered either mental patients or criminals and not "losers". This is a class-centric thinking, assuming our class standard as "obvious". By abbreviating my claim to "one skill", I'm at fault of being class-centric, but have the excuse that I can safely assume that all my readers are in the same class (as you have computer, internet and disposable income and time to play a video game). Also, literacy is a perfect example to explain black&white thinking. There are several levels of literacy from perfectly formed sentences to "cud u plz giv me 1g m8". However they are all considered literate as they are written, and (with more or less annoyment) understandable to everyone. They are in huge contrast from illiteracy, the point when someone is unable to understand a written message or form even a simple one. So despite Shakespeare seems far away from "gogogogo", the difference between them is much smaller than the difference between "gogogogo" and an illiterate. Learning the skill of literacy, even on the most basic level is bigger jump than getting to the top level from the basic. So when I claim this skill is black&white I do not mean that every "magic people" are equal, I mean that their difference is much smaller than the difference between them and the non-magics (scientifically speaking the inter-group variance is much larger than the intra-group). With graphical example: there are white, different shades of light gray and there is total black. Do you know which this magical skill is? Are you going to tell us, or are just stringing us along? Because if you don't know what this skill is, you can't say that it's the ONLY factor in success with 100% certainty. While I agree with you on the variance, why must you exclude other possible non-linked 'magical' skills? Your own example betrays you. You said that literacy is a condition sine qua non for being successful (in the modern world). According to your previous theory, therefore, it's a derivative of your proposed 'magical skill'. However, even the most inveterate M&S in the western world is literate. b) Literacy potential is unlinked to the 'magical skill'. While there are/were illiterate people who were successful (I'm rather certain that the person who invented the wheel or the fire were not literate, However, compared to their peers, at that time, they were successful.) they come nowhere near the literate people who were successful. The only wiggle room you have is if you claim that 'magical skill' is required to become literate, but in such a low quantity that virtually everyone on the Earth is guaranteed to have the required amount. The potential for the "magical skill" is in everyone (save for a few % mental cases). The illiterate Africans are NOT illiterate because they are unable to learn read but because there was no teacher to teach them. The people without the "magic skill" could learn it, just like the illiterate can learn to read. The big difference is that literacy is an acknowledged skill, so there are teachers around the World teaching it. The "magical skill" is disputed and unknown, there are no official teachers. You can still learn it from people who have it, that's why most rich parents have rich kids, the kid learned from their parents. The point of this series is to define this skill and formalize it to be teachable. However I must first prove it to be the one. I need 1-2 weeks for that. Yes, but why are you so sure it's only one skill? "that's why most rich parents have rich kids, the kid learned from their parents." You do realize how wrong this is, right? Or are you just teasing us? In my younger days we would strike up a coversations like this but usual after having 'a skin full'. As I am sober I will say the reasons keep it short. Some people are better than others at certain things because of a multitude of factors. Education is probably the main one I would pick but basically there is no magic skill for success just do things to the best of your ability that is all you can do. Trying to identify a magical mystical skill to make you great seems to be a cop out. Work hard, do your best. Thats it nothing more! Now wheres my lottery ticket. ""that's why most rich parents have rich kids, the kid learned from their parents." You do realize how wrong this is, right? Or are you just teasing us?" It's not wrong at all. The kids learned how to manage and manipulate money. It goes with Gevlons examples of people who were rich becoming refugees, arriving in their new country with nothing, and 20 years later being rich again. How will goblins react if this magical skill turns out to be a social skill? Such as the skill to behave adequately with "decision makers" (successful politicians, bankers, indutrials, movie producers...), regardless of the reason why you met them. I'm not talking about etiquette, but rather about naturally being able to impress them. (I've chosen this example since nobody teaches this skill, but one can expect rich kids to learn it easily from their parents). "The kids learned how to manage and manipulate money." Some learn, yeah. Others, because they're rich, don't learn anything and just waste their family's fortune. But the logical explanation is the obvious one: they're rich because their parents were rich! You can learn to manage money, and maybe better, if you have less to spend. But the odds are that you'll never be rich because... you're not rich from the start. The principle behind intra-family education is valid but it doesn't anything by itself. By the way, the forth Andru is not me. There's while there is a big difference between illiterate and literate, in terms of jobs they are not always so different. People who cannot read and understand technical documents, written instructions, etc., are going to be similarly limited in their ability to have any sort of meaningful work. Literacy has an exponential effect on income, so no/low literacy will be similar while moving up creates a more noticable gap. On the other side, if you're in an extremely poor area with low literacy rates, except for the very few leaders, literacy isn't going to be as big of a gain. Until there are jobs which call for literacy it won't be particularly useful, especially if the presence of a mass illiterate population discourages written communication. Your IQ is heavily defined by your first 6-8 years of life, expanding till your biological brain's peak, around 22-26 years old. Contrary to the common belief, you are not born with high/low IQ. It's something you acquire, at least the 9/10 of it. Ok, of course you may have mental advantages or a talent from your birth, but it's not what makes you intelligent. The ability to utilize previously learned knowledge to understand observed but previously unknown phenomenon. The ability to conceptualize abstract ideas and communicate those ideas effectively with peers. The ability to adapt, change, or discard previous knowledge when observable and repeatable data contradicts that knowledge. The ability to *quickly* assess a situation and come up with a *working* solution equally *rapidly*. The ability to hold *many* different ideas or follow many different lines of reasoning *simultaneously*. Gevlon, you take several paragraphs to summarize "necessary but not sufficient." We all understand "necessary but not sufficient", so you do not need to go so far to explain it. Your magical skill would fall into the category of "sufficient", so let's see what you can come up with. Interesting discussion. There are only two reasons people don't do something - they can't do it (skill) or they won't (attitude). If it's skill then they need to be trained. If it's attitude they need to adjust theirs. Is this a skill or an attitude issue (or some combination of both)? There might be a few things that could be considered "skill" as compared to "luck.". We hear of people thinking "outside the box." Maybe people who "think different" have different opportunities. Leonardo DaVinci? Or what about perseverance and determination - dreaming big and not stopping until you accomplish your goal? A willingness to work harder than anyone else. Think Olympic athletes. Maybe it's surrounding yourself with other successful people - putting yourself "in the right places." Seeking out mentors and coaches who will guide and direct you. I agree there are people who are able to move beyond "normal" success and they seem to have something special or different. I wonder whether it is a skill that needs to be be "learned." Can we all be Bill Gates, Steve Jobs, or Gevlon? I don't think he means "magical" as something supernatural that defacto makes you godlike/skillful without any effort or further understanding of the world. What you describe is commonly referred as Charisma, aka extreme talent in a particular task, in your example Basketball. However having a charisma is not something you can learn or teach to anybody, so i am guessing it's far away from what Gevlon's got in his mind. So when I claim "there is one skill that decides success/failure", I mean "there is one skill that affects success/failure and not obviously owned by everyone in our society". Well, what is success and failure? alright, just taking another wild guess. if it isn't situation awareness, then it could also be patience (aka ability for invest-return thinking, marshmellow experiment). one could go as far as saying that invest-return thinking includes situation awareness, because situation awareness relies on the concept of values (one needs to recognise a chance as such). I wouldn't call ”cud u plz giv me 1g m8“ the lowest form of literacy, since the sentence is written in perfect grammar (minus a comma), although most words take the form of retarded cyberspeak. Then again I know you can't give a worse example. It's hard to speak like a retard unless you think like a retard. Actually while it's not necessarily false, it's hardly guaranteed to be true either. There may be an example of rags to riches, but there are many who stay poor as well. Some taxi drivers and janitors here were actually well qualified professionals in their country. Also rich kids are more likely to learn things that Gevlon doesn't consider his 'magic skill' to get ahead, such as how to influence politics, or run their specific company. These are what's keeping them rich, not the 'magic skill'. If they did learn their parents' skill, I'd expect them to become orders of magnitude richer. A millionaire's child should be a billion or tillion-aire to be successful. Otherwise if they stay a millionaire, it's no different that a poor guy staying poor. I don't see that happening usually a rich kid stays about as rich as their parent, so that means they're actually not learning that skill. @Anonymous: "There are only two reasons people don't do something - they can't do it (skill) or they won't (attitude)." What about adding - they don't know they can do it? What about adding - they don't know they can do it?" I believe in the words of PurePwnage's Jeremy, "It's like a switch in your head... you can see it in a person's eyes... that makes you pro". The point is, through genetics and the chance involved with it, some people gain a combination of "success" and go on to be successful. Subsequently, the majority of people acquire only a fraction of those "success" genes, and thus gain varying levels of success. Whether it be due to laziness (attitude) or intelligence (skill) (both of which i am adopting from other commenters, thanks all), the normal folk go unrecognized to the world population. Obviously, you think you know the answer to what this "magical skill" is. In case you don't, the answer is that the "magical skill" is "problem solving". That is the reason we are on the top of the food chain. We are all problem solvers to a degree. When you add motivation to the situation, then changes occur. When creative problem solving and motivation are combined, then prosperity follows. People figure out how to be successful only if they are motivated to do so. But not everyone has the same degree of problem solving abilities or are motivated by the same drives. Once a process is proved successful, it is often reused and repeated and require no problem solving. Many will settle for what is easy to get and see no reason to strive for more. But without motivation, nothing happens.